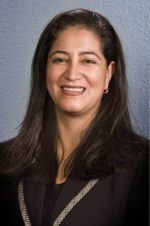 Brenda Cordova heads the Mexico practice for Braumiller Law Group, PLLC. She has been involved in Mexican Customs and trade matters since 1994. Brenda has represented a wide range of multi-national and small companies, advising them on business matters in Mexico. She has helped these clients with their Customs and international trade law issues, and she is widely recognized as an expert in the following areas: classification ruling requests, labeling requirements, import/export procedures, certified companies and NEEC, free-trade agreements including NAFTA, certificates of origin, IMMEX, foreign investment, and incorporation procedures. Brenda has been a professor in Customs and trade law at the Universidad Autonoma de San Luis Potosi since 2001. She has also been a featured lecturer for a number of groups, including the International Compliance Professionals Association (ICPA), the Women in International Trade, the Small Business Development Center, the School of Foreign Trade at the Universidad Autonoma de San Luis Potosi, and the Masters of Foreign Trade at the Universidad del Valle de Mexico. Represented a U.S.-based importer to Mexico after the Mexican Central Administration of Foreign Trade invalidated its NAFTA certificates of origin issued during three consecutive years; ultimately obtained a favorable decision on behalf of the client after litigation before the Mexican Courts. Represented a U.S. oil company when the Mexican Central Administration of Foreign Trade invalidated several of its NAFTA certificates of origin; helped the company respond efficiently to the correspondent questionnaire and obtain a positive judgment. Successfully represented U.S. oil companies negotiating with Mexican customers relating to NAFTA certificates invalidated by the Mexican government. In January of 2007, the mayor of the city of Rioverde in San Luis Potosi appointed Brenda to serve consecutive three-year terms leading the local office of the Secretaria de Relaciones Exteriores (Foreign Trade Minister). Brenda has always been actively involved in supporting the community and providing pro bono services for an extensive list of worthy organizations and causes. For example, she participates on the Board of Trustees for the Centro de Orientacion y Desarrollo Infantil, A.C., which is a home shelter for abused children. Brenda received her law degree from the School of Law at Universidad Autonoma de San Luis Potosi (San Luis Potosi, Mexico). She also completed the course work requirements for the L.L.M. degree on International Trade and Latin American Studies at the School of Law and the Institute of the Latin Americas at The University of Texas at Austin (Austin, Texas). She obtained a certification as a Perito Dictaminador Traductor (Authorized Expert Translator) from the State Government of San Luis Potosi, which allows her to translate official documents for legal purposes from English to Spanish and vice versa. Brenda is fluent in both English and Spanish.